All my climbs for the first quarter of 2013 are all comebacks and these include my return to Pico de Loro for the fifth time in Ternate, Cavite. You might be asking "why keep on returning?" Each climb is worth joining especially when done and shared when people who have a special part in your life. 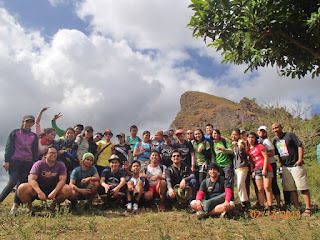 This "re-climb" to Pico de loro was for a cause and at the same time a fellowship activity with some brothers and sisters in Lingkod Makati, Alabang and Quezon City. Lingkod, as mentioned in my previous posts, is a Catholic community of young professionals which aim is to christify the workplace. Thankfully, we were given a very fine weather and a zero precipitation for such weekend. We were a group composed of 30 participants, majority of which were first timers. Everyone seemed to enjoy the trek even though they experienced some difficulties since it was their first time. 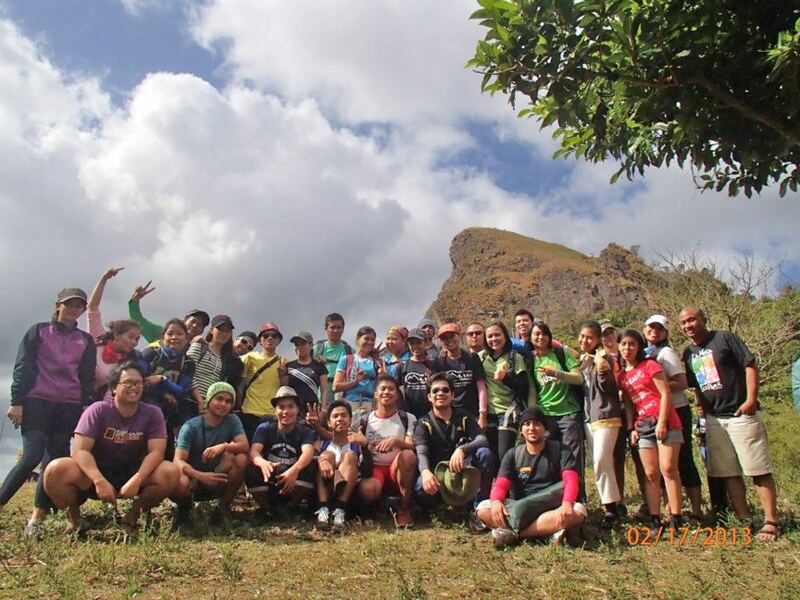 I honor them for taking the challenge and for finishing the traditional back-trail trek. There were many campers who climbed on that day. We first spent some time and stopped for our lunch at the falls (which seems to be almost dry) so we were only able to arrive at the camp site by around 2pm. Hence, the only space left for us was the open area facing the summit and the mountainous view. It was good but we had to face the strong winds and so our tents were greatly challenged. Twice have I gone to the summit. Two batches for this group: the first batch witnessed the sunset and the second one, though late with the literal sunrise, have witnessed the freshness of the morning at the top. Everyone seemed to enjoy the view. Well, who could resist to say "wow" to the 360-degree magnificent view of Pico de Loro.. The entire climb was sooooo Lingkod-- full of lingkod ways. Service to one another and a lot of life-giving sharings and bonding. In our reflections during the socials, we've come up with the same insights. Indeed the journey throughout the trek is like the journey of life, you have to persevere and never give up since a wonderful promise waits in the end, the summit. Just like in our Christian life, it is never easy yet the Lord's promise shall prevail and one must hold on to that truth in order to reach the goal you've been persevering for-- to be with the Lord at the top. The whole climb was also full of laughter and amusing jokes. Being able to bond with the brothers and sisters and of course with lots of guests was indeed fun! 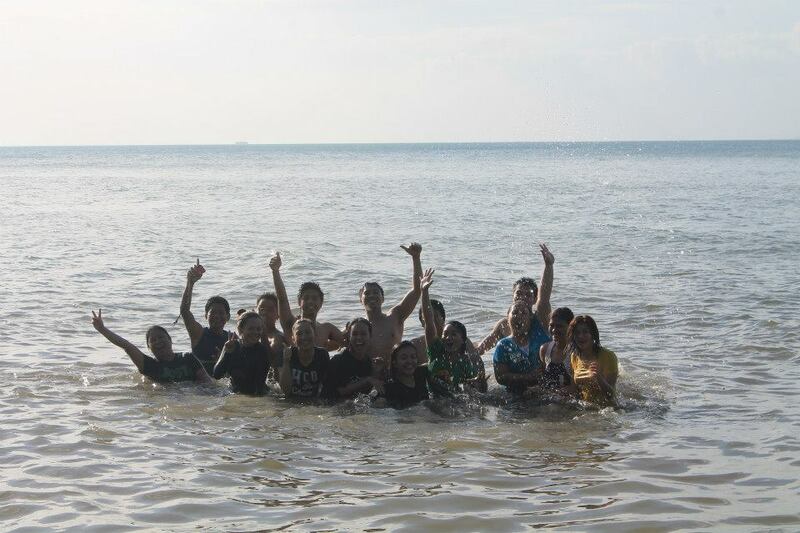 After the descent, we headed to a beach in Ternate for a side trip. 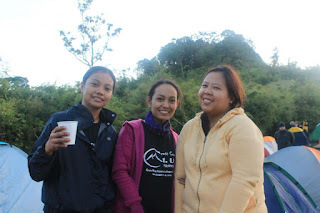 Thank you sisters for such a great help to our bro Dennis (who was affected by a huge fire incident last December, Christmas of 2012) by initiating a climb for a cause. Thanks too for the friendship and a weekend full of service and bonding. Indeed we are united not only in the passion to climb and love for the nature but most of all, we are united in our faith in Christ. We were also able to have opportunity to evangelize and share with others the way of life we have in Lingkod.